Witnessing a performance of Beethoven’s Ninth Symphony is always an uplifting experience. 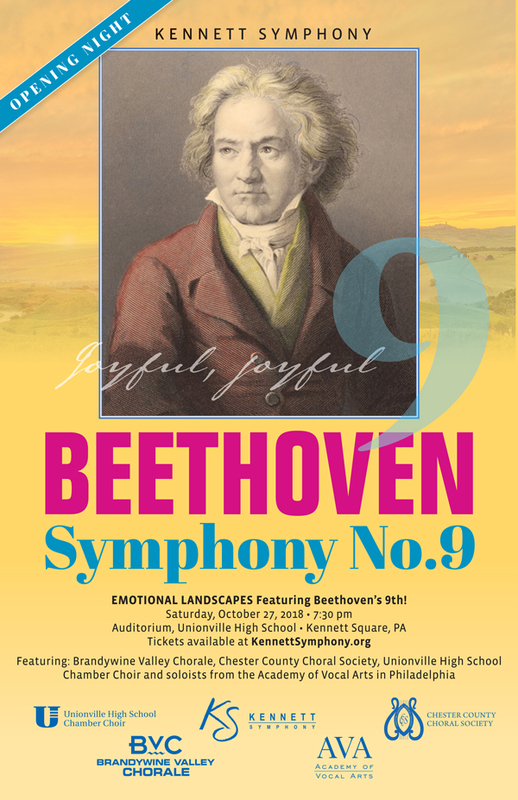 Join the Kennett Symphony, the Brandywine Valley Chorale, the Chester County Choral Society, members of the Unionville High School Chamber Choir and soloists from the Academy of Vocal Arts in Philadelphia for a performance of Beethoven’s greatest musical achievement celebrating the common bonds that we all share. We begin the concert with a playful overture by Franz Schubert and then three short songs by Gustav Mahler, that despite their brevity, probe the depth and breadth of the human experience. 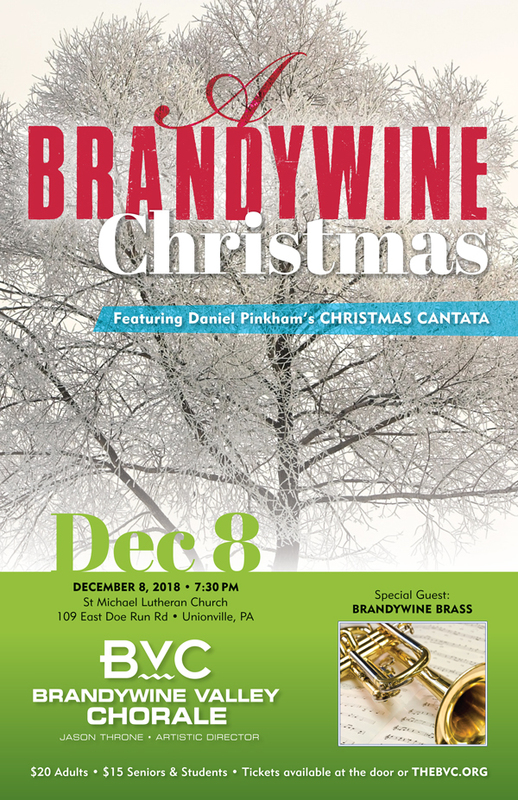 BVC’s holiday concert features distinguished American composer Daniel Pinkham’s Christmas Cantata (Sinfonia Sacra). A 20th century homage to the Baroque, this work recalls the brilliance of the Venetian school of chorus-and-brass music, particularly as embodied in the works of Giovanni Gabrieli. The Cantata is cast in the form of three contrasting short movements and is scored for chorus and double brass choir. The program features a mix of other seasonal selections, including a carol sing-along.